MOODLE stands for Modular Object-Oriented Dynamic Learning Environment, it is a free source e-learning software platform, also known as a Course Management System, Learning Management System or Virtual Learning Environment (VLE). MOODLE has several features considered typical of an e-learning platform plus some original innovations like its filtering system. MOODLE is very similar to a learning management system. MOODLE can be used in many types of environments such as in education, training & development and business settings. Many freely available third-party plugins make use of this infrastructure. MOODLE users can use PHP to write and contribute new modules. 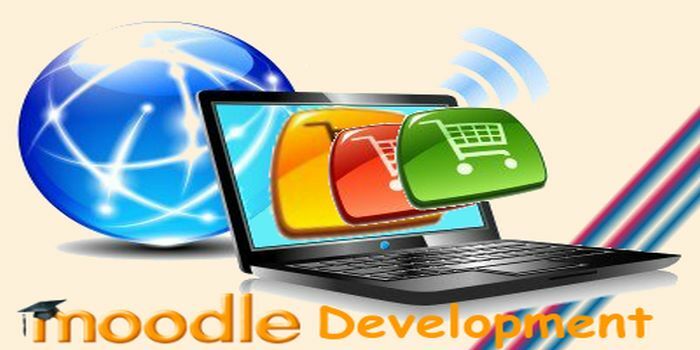 MOODLE’s development has been assisted by the work of open source programmers. This has contributed towards its rapid development and rapid bug fixes. This runs without modification on Unix, Linux, FreeBSD, Windows, Mac OS X, NetWare and any other systems that support PHP and a database, including most web host providers. Data goes in a single database. MOODLE version 1.6 could use MySQL or PostgreSQL Version 1.7, makes full use of database abstraction so that installers can choose one from many types of database servers such as Oracle and Microsoft SQL Server. • Syndication, using RSS or Atom newsfeed – external newsfeeds can be displayed in a course, and forums, blogs, and other features can be made available to others as newsfeeds. The reasons for the popularity of this open source course management system lie in the various interactive and useful features that MOODLE offers to teachers, instructors, and educational institutes for effective e-learning. From learning logs that aid in reflection on essential questions, sharing and communicating via live chat and forums, creating and giving quizzes, making creative lessons, creating book-like content, and teaching via podcasts and virtual classrooms, the use of MOODLE for e-learning is exemplary. The News Forum is a special forum that acts as an announcements tool for your MOODLE course. Only instructors and TAs can post to the News Forum, and by default, posts made to the News Forum are emailed to class members. Students cannot leave replies to the posts; it’s a one-way tool. Adding the Quickmail block to a MOODLE course allows instructors and TAs (and students, if the instructor allows) to send emails to course members from MOODLE. The system will also send notification emails to inform users of particular activities such as a new post on the News forum. Instructors can also look up students’ email addresses through the Settings block. Every MOODLE user has the ability to control how they receive email notifications from MOODLE. Your MOODLE profile settings control your default email digest and forum subscription settings, as well as whether or not your email address is visible to other users. Instructors and students can communicate and collaborate using Forums, sometimes called “discussions.” Instructors can create topics or, depending on the forum type, allow students to create topics to which course members can post a reply. The Upcoming Events block and Calendar block can be added as a way to keep track of due dates and other important events in the course. When some assignment is created on MOODLE, the given due date is automatically added to the course calendar, which is displayed in the Calendar block. The Upcoming Events blocks lists events approaching on the calendar. While instructors can easily use activities in MOODLE to deliver content and assess learning, MOODLE also supports student-led activities and collaboration. In addition to forums, you can make use of the group, wiki, and chat features to facilitate collaboration. Ranosys Technologies has worked in the education sphere to deliver interactive and user friendly Learning Management Systems. The Learning Management System was developed on MOODLE where almost all the functionalities like gradebook creation, course quiz creation, user management, display, Paypal payment to enroll in course etc were used. At Ranosys Technologies the customer specifications for the system is considered from all perceptive and by using the technology the goals for a successful alliance are accomplished.